Rachell Moodie had been married for just nine months when she got the diagnosis: stage 2 invasive ductal carcinoma, the most common kind of breast cancer. Rachell Moodie was diagnosed with breast cancer in 2009 and underwent a round of IVF to freeze embryos before undergoing cancer treatment. She now has two daughters with her husband. Because Moodie’s uncle had died from leukemia when he was just 13 years old, her family had experience with this kind of news. And her grandmother, recalling warnings from her son’s cancer treatment, told Moodie that it could make her infertile. Armed with the information, she went to her cancer doctor and asked what she could do to make sure she got the chance to have children with her husband. He immediately referred her to a fertility clinic in Tampa, Florida, where she saw an infertility specialist within days of her cancer diagnosis. Moodie and her husband went through the IVF process and doctors extracted 10 eggs from her. They ended up freezing five embryos in 2009 before Moodie began treatment for her breast cancer. Not all the patients Moodie’s cancer doctor treated were as lucky as her. 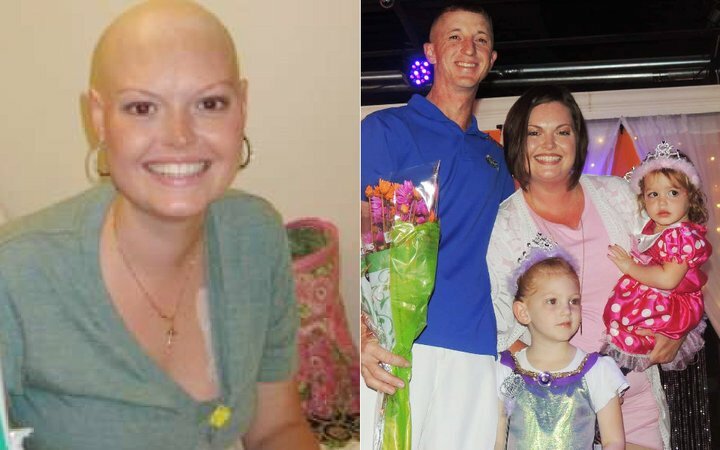 Over the course of her treatment, Moodie befriended a young woman who was the same age, with the same exact cancer she had, who had been diagnosed by the same doctor. This friend, however, didn’t know to bring up fertility preservation, and the doctor didn’t suggest it ― even though he had just counseled Moodie about her options two weeks earlier. Since 2006, the American Society of Clinical Oncology has issued recommendations about how doctors should approach the issue of infertility and fertility preservation with newly diagnosed cancer patients. Chemotherapy, radiation or surgery could render them infertile or even sterile in the future, which is why doctors recommend that people who are interested in genetic parenthood in the future freeze sperm, eggs, embryos or reproductive tissue before beginning cancer treatment. But often, a patient has to rely on a doctor to initiate this conversation ― and many doctors don’t. A survey of 259 young female cancer patients from 2009 to 2013 found that only 62 percent had been counseled about fertility preservation, despite ASCO’s recommendations. Five years after Moodie’s cancer diagnosis, those embryos resulted in the birth of her first daughter. Moodie knows “for sure” that she wouldn’t have been able to have her first child if her grandmother hadn’t advised her to approach the doctor about fertility preservation. Moodie is one of 70,000 people of childbearing age (ages 15 to 39) in the U.S. who are diagnosed with cancer every year. Like Moodie and her friend, many of these younger patients ― approximately 5 percent of everyone diagnosed with cancer ― have not yet had the chance to have children. And because the age of first-time parents continues to rise in the U.S. ― currently at 26 for women and 31 for men ― this population of cancer patients who may need fertility preservation treatment is growing. One reason for the inconsistency in doctor advice to patients could be the fact that fertility preservation is rarely covered by insurance plans. Only five states in the U.S. have laws that force private insurers to cover fertility preservation for medical reasons like cancer, so most patients need to pay out of pocket on an extremely tight deadline. For example, Moodie was diagnosed with cancer on a Monday and was at a fertility clinic by Thursday. That’s not very much time to come up with $24,000 ― the average amount of money it takes to do one cycle of IVF. Sperm-banking is also expensive, but total costs generally come in under $1,000, not counting the yearly storage fee. Doctors may be holding back because they judge that the patient might not be able to afford the costly egg- or sperm-freezing procedure. Indeed, a 2015 analysis found that those without insurance were more likely to report that doctors hadn’t told them about how cancer treatment could affect their future fertility. Medical professionals need to learn how to counsel cancer patients about their fertility. Cathy Elstner, the head nurse overseeing the adolescent and young adult program at Tampa’s Moffitt Cancer Center, said that health providers can’t let their own judgments about the patient get in the way of giving them all the information they need to make the best decision for them. Each patient in these two scenarios deserves complete information about what cancer treatments could do to their fertility, she said. There are organizations like the Livestrong Foundation that help cancer patients afford the fees. Livestrong helped Moodie pay for the medications for her IVF cycle, while her family pooled money to help cover the procedure. After her diagnosis and fertility preservation procedure, Moodie transferred to Moffitt Cancer Center, where she was treated for her breast cancer. Following the advice of her doctors at MCC, Moodie waited five years from her initial cancer diagnosis to see if she was in complete remission before attempting to get pregnant with her frozen embryos. Moodie has gone in yearly to check on her remission, and doctors have confirmed every time that the cancer has not returned. And a year after her first daughter’s birth, Moodie and her husband spontaneously became pregnant with their second daughter ― a complete shock to them, considering that they had never used protection in the five years leading up to their first frozen embryo transfer. As more doctors and cancer care centers focus on quality-of-life issues after treatment, knowledge about fertility preservation has begun to spread. But awareness is just half of the battle. After being informed about the possibility of banking eggs or sperm, patients still have to face one difficult dilemma: namely, how they’re going to be able to afford it all. Until fertility preservation becomes a standard part of cancer care that is covered by insurance, it will be out of reach for many, if not most, patients who want it.